Enough refills for 48 hours of use! Keep your Thermacell® Appliance or Lantern loaded with skeeter-beating Mats! 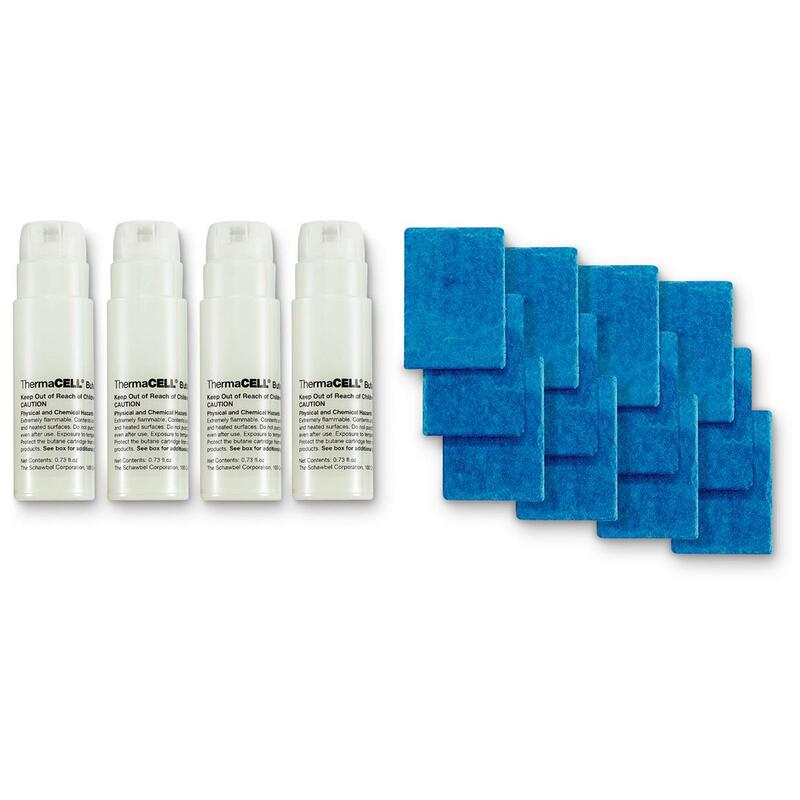 This Refill Value Pack comes with 4 Butane Cartridges and 12 Mats that work in every Appliance and Lantern that Thermacell® makes. Each Mat provides up to 4 hours of repellency and each Cartridge lasts up to 12 hours offering you a total of 72 hours bug free! 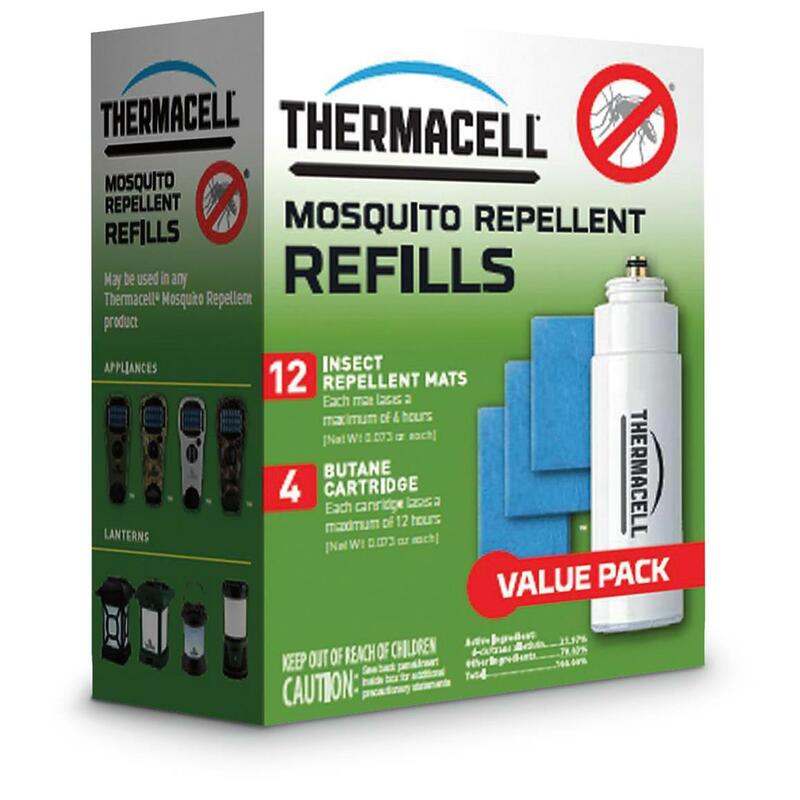 The Thermacell Mosquito Repeller system effectively repels mosquitoes, black flies, and other biting insects by creating a 15 x 15-foot zone of protection for bug-free comfort. Ideal for use while you are camping, hunting, fishing, gardening, and around the backyard, Thermacell products have been evaluated by the EPA for safety and effectiveness. 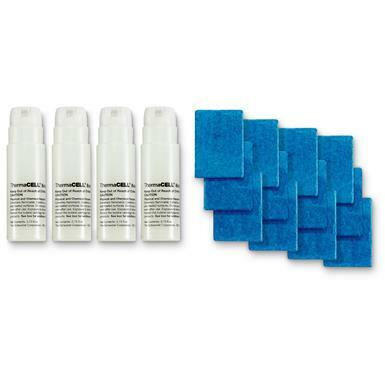 Thermacell Mosquito Repellent Refill Value Pack is rated 4.8 out of 5 by 213. Rated 1 out of 5 by ktree1 from Anemic in Mississippi Have used this product for years with great success until this season. I don't know if you've changed your pads mix or whatever but they don't work. I just returned from a 4 day hunt and was eaten alive I quit counting at 100 bites thru my clothing when . Very disappointed to say the least. Rated 1 out of 5 by Ronnie from Used to be better Thermacel has changed something? I'm a hunter andthpadsave been using this product since it came out. The pads used to last a whole 8 hour hunt and keep the mosquitoes away, now the pads hardly last 4 hours. You guys have changed something and I'm sure it was over corporate greed (Cheaper product same price)... Sad that it always seems to happen. Now for those of you that didn't use the product in the beginning you are probably happy with it but some of us know the difference...You guys have changed something in the refill pads. Rated 5 out of 5 by SawtoothCache from It really works! With alfalfa fields around us and their need for extensive watering, summer means mosquito season. The only thing we've found that works for our need to enjoy summer evenings is Thermacell, so having extra refills on hand are a must. This stuff really works! Rated 5 out of 5 by BuckmanJohn from WORKS!!! I would never have believed how effective these are at expelling bugs and mosquitoes from an area AND keeps them at bay!!! Rated 5 out of 5 by Big Marc from INCREDIBLE! I have the lanterns and the portable dispensers. They are amazing, you pay for what you get.They’re super easy to use and without spraying or lighting candles , etc mosquitos literally disappear from your surroundings instantly. Great product. Rated 5 out of 5 by Janea11 from Fast service Order refills to have ready for fall and next spring. Fast service - quick delivery.Love Thermacell! Measures 7.75" x 3.75" x 1.25"